First of all, I should mention that my love affair with graphic novels started only a few years ago when I was taking a Reader’s Advisory course at Algonquin College. 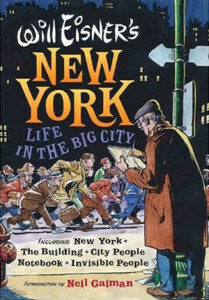 Before that, I thought graphic novels were limited to the superhero genre which didn’t attract me much. Now I know that this medium is as interesting and as varied as regular books. If you have never read graphic novels, I encourage you to try them. I’m sure you’ll find something that you like in the wide range of stories available in this medium. 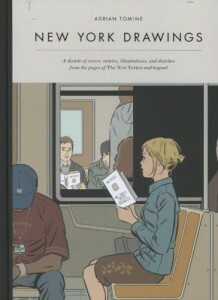 Some of my favourite authors of graphic novels are Will Eisner, Greg Rucka, Adrian Tomine, Daniel Clowes, Hope Larson, Raina Telgemeier, Guy Delisle, Michel Rabagliati, Marjane Satrapi and Pénélope Bagieu. “Page by Paige” by Laura Lee Gulledge tells the story of Paige, a 16-year old girl, who has just moved from Charlottesville, Virginia, to New York. She doesn’t know anybody in this big city, and she feels lonely and scared. She decides to buy a sketchbook and record her thoughts and emotions with drawings. In her musings, she remarks: “I think I was born with my eyes facing the wrong way. Because they’re always looking back into my head rather than looking out”. This sentiment rings true to all of us introverts, and I could certainly identify with the feeling of not fitting in. 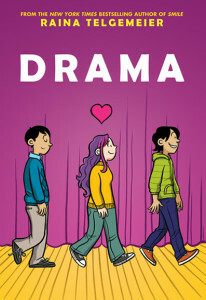 But what I loved the most in this graphic novel is the fact that the story is semi-autobiographical. Laura Lee Gulledge also moved from Virginia to New York, and art helped her handling stress and depression. This is the author’s first graphic novel. 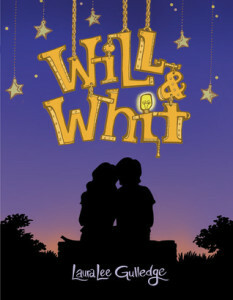 The main character’s full name is Paige Turner (her parents are writers). Paige is 16-years old, but she doesn’t know how to ride a bike. Paige and her new friends form The Agents of Whimsy, a group of creative misfits. 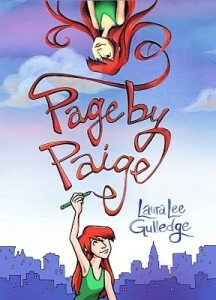 The Page by Paige Soundtrack provided at the end of the book lists each character’s favourite songs. tres intéressant tres bon blog Cécile. Continue tu vas tres bien. Hi Cecile! I think your blog is great! It looks so professional. I really like the section “you may also like”. I love getting ideas for new things to read:) Is there a way for me to get notified when you post something new? Fred and I are still working on the notification e-mails. I will let you know when they are up and running. In the meantime, I usually post something on Facebook and Twitter, so people will know when there is a new entry on my blog.